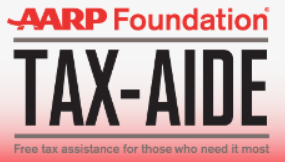 The AARP Tax-Aide program, administered by the AARP Foundation in cooperation with the IRS, provides free income tax assistance to all taxpayers, with special attention to those aged 60 or older. Volunteers will assist in preparing basic federal and Oregon tax forms for personal tax returns. They can assist with most of your everyday tax situations including Affordable Care Act forms, Health Savings Account forms and filing for Earned Income Tax Credit Assistance. There are other complicated tax situations that may be beyond the scope of the AARP volunteers. If so, you may have to seek tax advice from a paid tax professional. Tax returns are electronically filed as a free service by Tax-Aide.